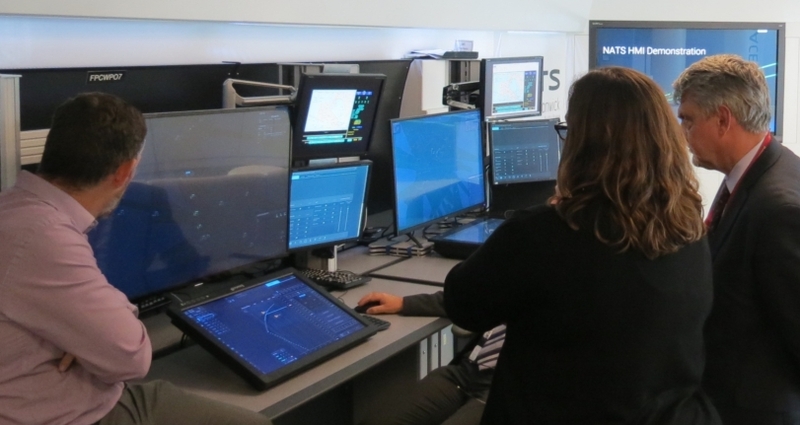 NATS has completed the design of a major component of the next generation of air traffic control system, with the help of funding from the European Commission’s Connecting Europe Facility (CEF). A new Human Machine Interface (or HMI) has been designed for Air Traffic Controllers to help implement new airspace management concepts such as Free Route Airspace and Trajectory Management, which are crucial to delivering the additional capacity required by the Single European Sky initiative. The HMI, whose design has been co-funded by the Innovation and Networks Executive Agency (INEA), will be used to display information produced through the iTEC Flight Data Processing System, which is being rolled out across the entire UK operation in the coming years. The HMI is the means by which Air Traffic Controllers interact with vital data, such as the location and future intention of aircraft. NATS is a leading participant in the Single European Sky ATM Research programme (SESAR) and has already deployed a number of SESAR concepts in to operation with the help of INEA co-funding, including the Time-Based Separation system for arriving aircraft at Heathrow Airport and Point Merge, a new airspace design concept that uses improved aircraft navigational capabilities to improve overall airspace efficiency.